How to determine damages in a California real estate purchase and sale fraud dispute is often as significant and as hard fought as the question of liability. The reason is that there are two possible ways of measuring damages for fraud claims (other than contract damages), based on two different sections of the Civil Code. One section is the “benefit of the bargain” rule – it satisfies the expectations of the plaintiffs by measuring the difference between the price paid, and the value of the property as represented. Even if the property turns out to be worth what the buyer paid, he still may recover damages for the value he was led to believe he was getting. The other, more objective “out of pocket” rule, provides for the difference in the price paid, and the fair market value at the time of sale, and is the exclusive standard except in the case of fraud by a fiduciary. 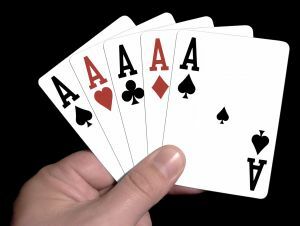 The out of pocket rule satisfies the goal of tort claims, which is to restore the plaintiff to the financial position he was in before the fraudulent transaction, and thus awards the difference in actual value between what the plaintiff gave and what he received. The benefit of the bargain rule is a more effective deterrent. Even if the value of the property received equals the price paid, there can still be an award of what the plaintiff was led to believe the value of the property was. 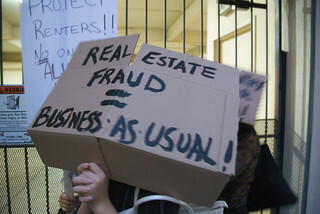 The out of pocket damages rule has been the exclusive standard for damages for fraud in a real estate purchase and sale dispute. However, an exception has evolved for fraud by a fiduciary (such as a real estate agent or broker), in which case the benefit of the bargain rule applies. The reason is to achieve the goal of requiring the faithless fiduciary to make good the full amount of the loss which his breach of faith is a cause. For the breach of an obligation not arising from contract, the measure of damages, except where otherwise expressly provided by this code, is the amount which will compensate for all the detriment proximately caused thereby, whether it could have been anticipated or not. a) One defrauded in the purchase, sale or exchange of property is entitled to recover the difference between the actual value of that with which the defrauded person parted and the actual value of that which he received, together with any additional damage arising from the particular transaction. the loss of profit was proximately caused by reliance on the fraud.